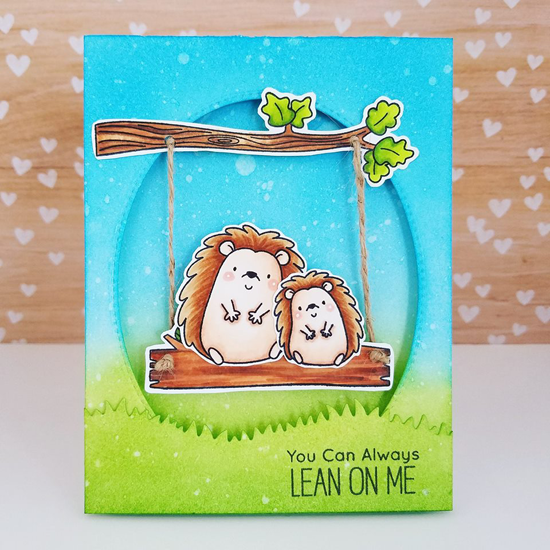 Amy created an adorable tree swing for our Happy Hedgehogs using logs and a tree branch from the Harvest Buddies stamp set. What a fun away to mix and match sets! 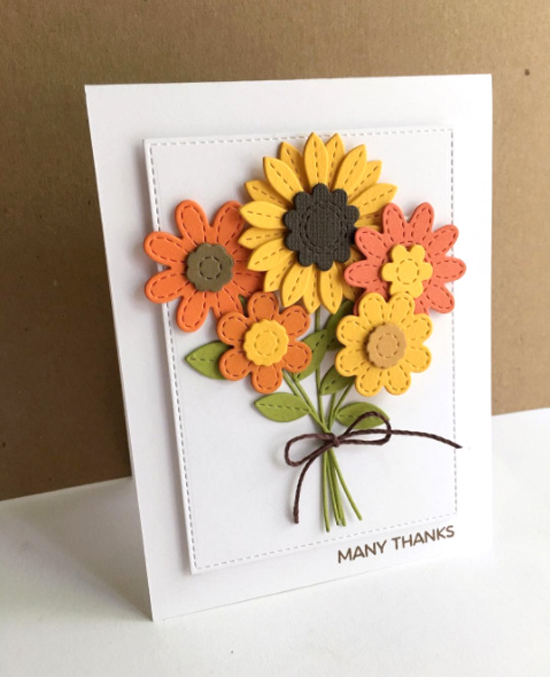 Lisa created a lovely and simple fall bouquet with the Stitched Flowers Die-namics. I love the little details she's added like the twine around the flowers and the simple popped up stitched panel. Perfect! 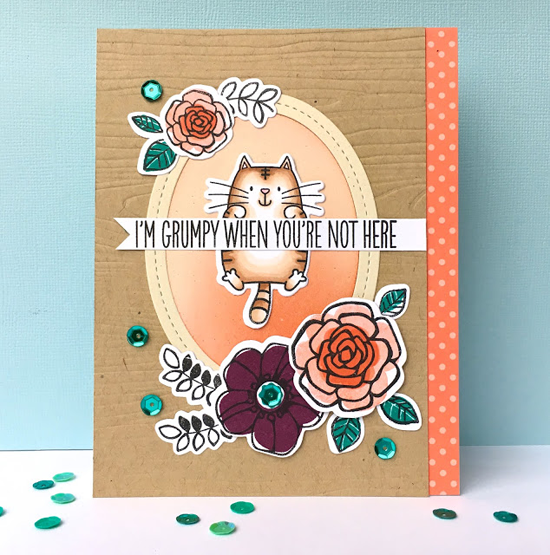 Lynn loves cats and flowers, so why not pair them all on one card? I was really drawn to her pretty color combination with a fall-like feel. This card was an entry for Sketch Challenge 304. 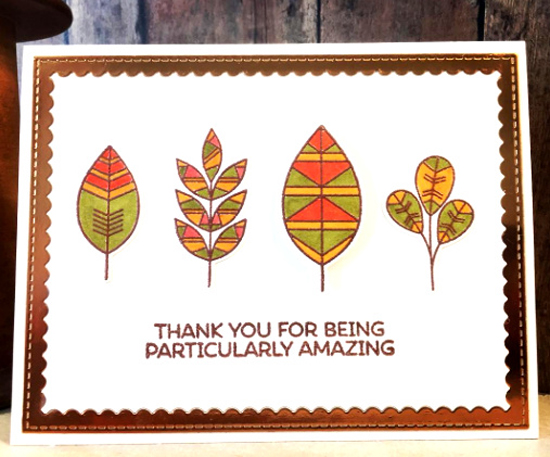 Cindy embraced the colors of fall in this pretty design using the Geometric Greenery stamp set. I love the copper frame to finish it off! Nathalia made this baby milestone for her best friend, and what a cute way to use a whole slew of our adorable stamps! I'd say she wins BFF status for this labor of love! Thanks for using MFT, ladies! You've left us inspired, and that's what it's all about! See you tomorrow for another great Sketch Challenge, and look for the next MFT Color Challenge this Thursday, November 10th. 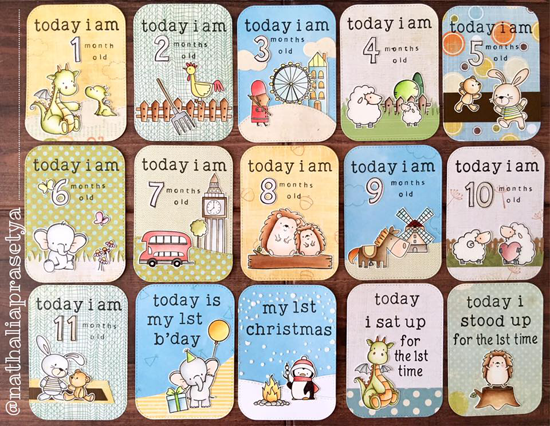 Love all of these cards and the baby mile stones. Great job ladies! !